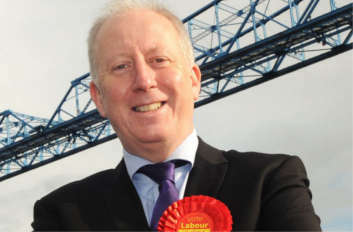 Labour’s shadow transport secretary has accused the Department for Transport (DfT) of ‘paying lip service to climate change’ and pledged that a Labour government will align the department’s priorities with its commitment to tackle the issue. Andy McDonald MP set out Labour’s plans for the Department for Transport in a keynote speech at the Institute for Government this week. He said: ‘Transport is the UK’s single largest source of greenhouse gas emissions and the worst-performing sector when it comes to reducing carbon emissions. Mr McDonald also criticised the DfT for what he called ‘the dominance of short-term thinking over long-term strategies’. On the question of whether government should invest in high speed rail or the existing network, he said: ‘It’s not a question of either-or. It is both', but he warned that ‘there will be no blank cheque from Labour’. Looking back at the last Labour government, Mr McDonald said its biggest mistake on transport was ‘not facing down the fuel protesters in 2000 when the party was at the height of its powers', a decision that ‘led to a huge distortion in both the public finances and how the financial burden has fallen across the modes of transport which we still live with today’. Guaranteeing that any airport expansion adheres to its ‘tests’, which require ‘noise issues to be addressed, air quality to be protected, the UK’s climate change obligations met and growth across the country supported’.